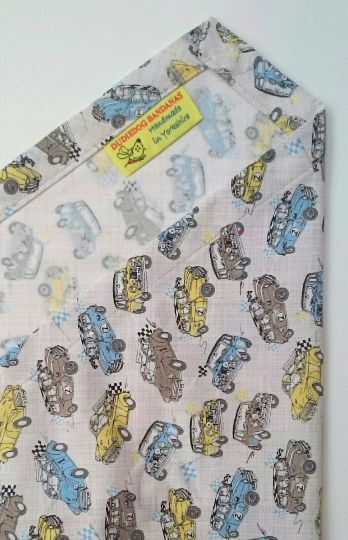 This classic car dog bandana is a striking design incorporating two classic vintage British cars...the Morris Minor and Mini Cooper... icons of British motoring history. The background is a pale cream/beige grid design, and the cars are in retro shades of yellow, blue and brown. 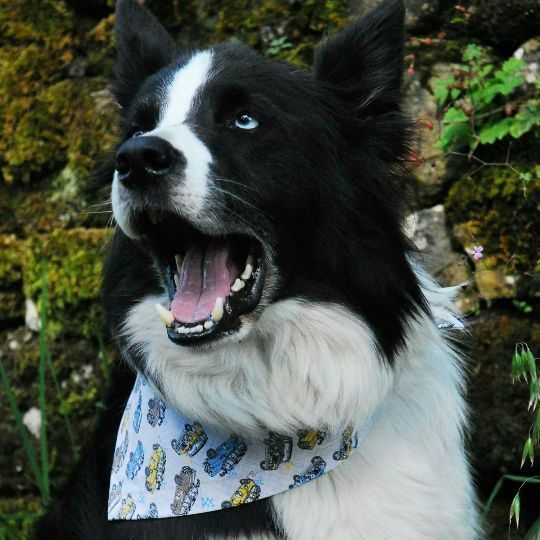 It's a beautiful design from our Premium range, and is perfect for the fashion conscious, fun loving dog about town (or country)! 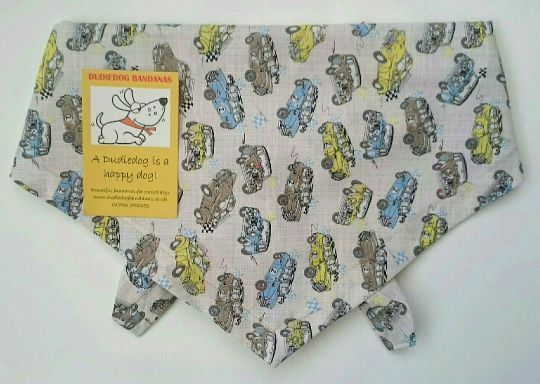 If you're going to a classic car rally with your dog this bandana will certainly get your dog lots of compliments!